Buyers Agent of the Year 2015. 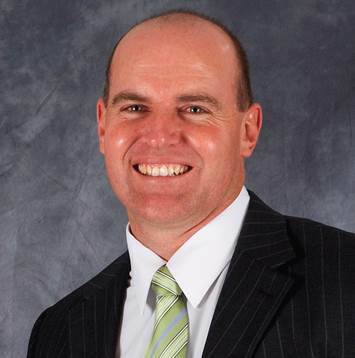 Rich is the President of REBAA (Real Estate Buyers’ Agent Association), a licensed real estate agent, property investor and professional economist with over 20 years’ experience in the property industry. Why you should consider using a buyer’s agent? A good buyers’ agent will help you get the right perspective with investing. It not just about the transaction of buying, but the research and thought process that goes into to selecting the right strategy and area first. A trustworthy buyers’ agent should consider your goals, personal situation and budget and then match this with the best strategy. I believe there is no one size fits all when it comes to investments. It requires a tailored approach designed to fit your financial situation and risk profile. Having a buyer’s advocate on your side makes the process so much easier as you have a professional guide and sounding board along the way. What are the qualities of a stand out buyer’s agent? Buyers’ agents have become popular and the number of operators has also increased accordingly. However, not all buyers’ agents are equal. Here are five tips to help you select the best buyer’s agent for your situation. Don’t just focus on fees – you get what you pay for. Look at the quality and experience of the person/ agency you are about to engage. Look for a buyers’ agent that has been working in the real estate industry for over 10 years. Property cycles generally run 7 to 10 years and it is wise to get advice from someone that has seen both the ups and downs of the market. A top buyers’ agent needs to have expert knowledge of their local markets. Each capital city around Australia may be at a different stage of the property cycle and within each city there are multiple property markets. Whether you are buying a property locally or inter-state, it makes good sense to use an expert that knows the local market. Ask the buyers’ agent about what types of properties they have bought for their clients. Have they focused on a particular price point in the market? Do they have a team of experts (not just a sole operator) that can assist with your search? How many years’ experience do they have? Ask if the buyers’ agent is totally “independent”. Does the buyers’ agent act “exclusively” for buyers or do they practice dual agency and also sell property? Propertybuyer never sells property or accepts sales commission from vendors, developers or their agents. We work exclusively in our clients’ best interest to find a property that meets their needs. You want to work with someone that has your best interests at heart and is not driven by sales commission. Unfortunately the real estate industry has a tarnished image, so it’s critical to select a buyers’ agent with the highest integrity and ethics. Ask if they follow the Best Practice Guidelines set out by both the Real Estate Institute and the Real Estate Buyers’ Agent Association (REBAA). Business is all about reputation. Companies with great reputations generally developed them because they care about the client and the results. Reputation is everything and most will work even harder to preserve them. Ask what credentials your buyers’ agent holds. What industry bodies do they belong to and are they credible? Are they licensed and what qualifications do they have? How many clients do they have? How many transactions have they undertaken? Research is critical. Does the buyer’s agent follow a specific process to identify suburbs/ regions and then locate suitable properties? Do they have a full time research analyst on their staff or a valuer? Whether you are a home buyer or investor, you need to complete considerable research to find the right property. A good buyers’ agent not only understands where to buy but also what type of property represents good value (90% of off-plan investment properties do not). They say your “network” determines your “net worth”. This is very true when it comes to buying property. A great buyers’ agent should have a widely established network of selling agents. This is essential to get access to properties before they hit the open market. Selling agents like dealing with buyers’ agents because they present a qualified buyer ready to transact if the property stacks up. The buyers’ agent treats the selling agent as the “supplier” of property. A buyers’ agent with established relationships is able to get their clients first access for the best deals. How do you ascertain if your potential buyers’ agent has a strong network? Ask them who they know in the target area. Do they have senior level contacts in all of the major estate agency networks? How frequently do you find off market deals? What’s been your most lucrative deal this past 12 months? We’ve had many lucrative deals in the past year ranging from small investors to prestige buyers. Saved a home buyer over $1m buying a luxury harbour waterfront for close to $14m on Sydney’s lower north shore. Helped a commercial buyer secure a new business premises for $2.5m in Sydney’s south west for his growing business AND have room to subdivide for considerable profit. Assisted an investor to complete a small scale duplex in Sydney’s middle ring suburbs – with over $350k profit. Helped many investors get over 7% yields and strong capital uplift in the Newcastle market with our dual living strategy. Assisted many clients access the Brisbane market for under $400k and achieve better than 6% yields. How do you ensure you make big profit on every deal? Research, research, research. Crunch your numbers before you execute a deal and double check comparable sales while anticipating the market. However, it’s not always about big profit. Sometimes you need to temper your expectation of profit and have patience for capital growth over the long term. It is both an honour and privilege to win this national award and it feels fabulous! I have often thought this would be a great award to win but I have never entered until this year. It is really a team award as I have a fantastic team of professional buyers’ agents specialising in various geographic areas and for different property strategies. It is a great accolade to win. Going above and beyond the call of duty to make sure the client gets the best deal are just some of the qualities that helped Andrew Crossley won the Property Buyer Runner Up Award. An active investor himself with a portfolio of 12 properties worth $4.3 million Crossley is also a qualified mortgage broker. 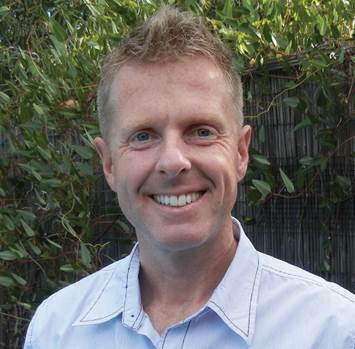 “What inspires me as a buyer’s agent is my passion to help people avoid property marketing companies/ spruikers. I want to help them reduce their risk and improve their chances of success without unnecessarily negatively impacting on their lifestyle. I want to make a difference in someone’s life for today and for the future. To make sure you’re dealing with the real deal, look for someone qualified to provide advice. Not just an order taker who simply follows a brief. You need a buyer's agent who understands the necessary due diligence to underpin an investment property purchase decision. Follow the links below to see who else Australian investors voted as the most trusted property professionals for 2015! 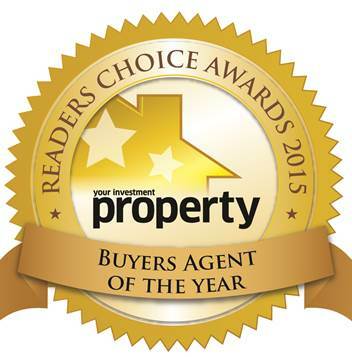 Property Investment Advisor of the Year 2015. Tax Specialist of the Year 2015. Mortgage Broker of the Year 2015. Property Manager of the Year 2015.